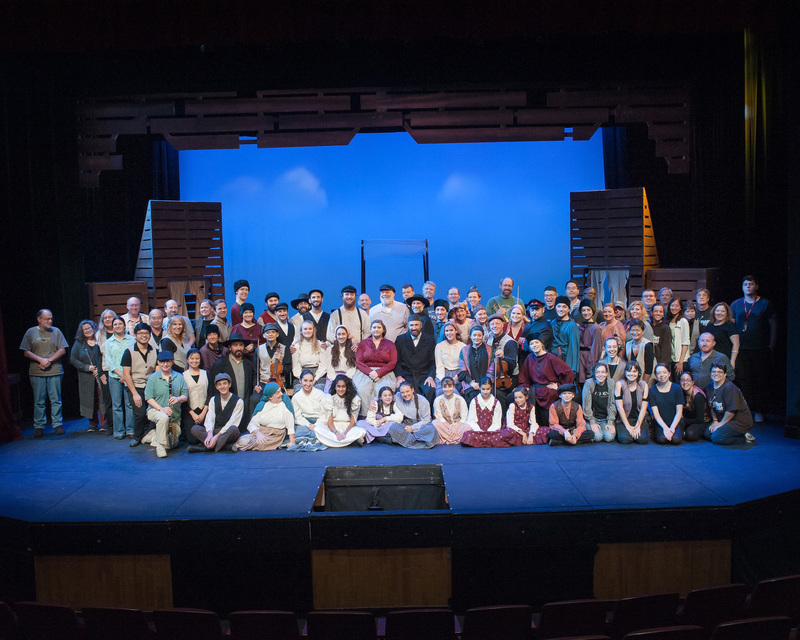 Starting at the end of this story, on opening night, this Sunnyvale Community Players production of Fiddler on the Roof received not one, but two standing ovations! Needless to say, all the hard work over the many months, and especially this final week, Tech Week, paid off. This last week was a doozy, but we not only survived, we thrived, and the show runs at the Sunnyvale Theater Thursdays – Sundays through 8 October 2017. Now on to the focus of this article, the path through our final week of rehearsals from the pit. Tech Week, or more colloquially, Hell Week, is always an adventure in the theatre, particularly for musical theatre. Tech Week is that last week leading up to opening night when all the elements are combined, both technical and artistic, which in the case of a musical also includes the music itself. Everything that can go wrong often does, but somehow, magically, it all works by the time the last element is added – the audience. Fiddler on the Roof is a big show, and this Sunnyvale Community Players production includes a cast of 38 (with around 20 of them wearing individual mics) and a full 25-piece orchestra (with every instrument on its own mic) covering every part in the licensed orchestration. By the time we arrived at the first day of tech, the cast had been rehearsing for two months, and two sitzprobes with cast and orchestra together had been conducted.